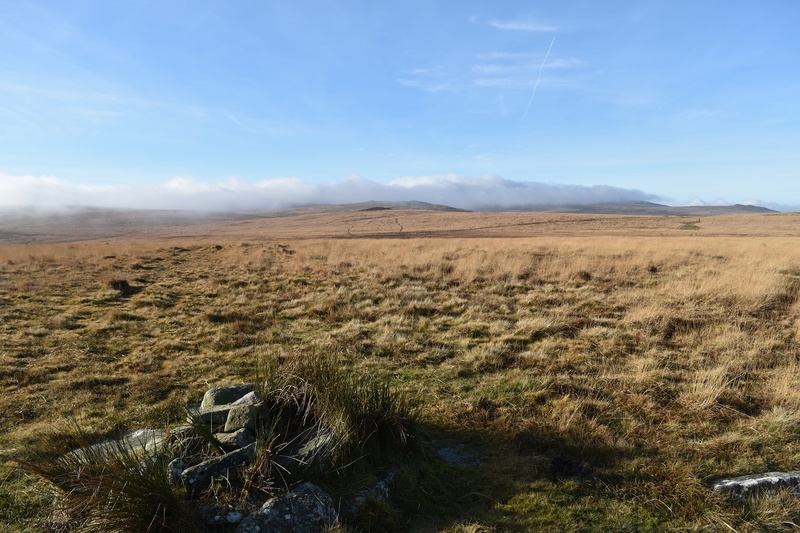 Kennon Hill stands at a decent height for Dartmoor at over 470 metres high, however that’s not the toughest part of getting to the top of this one. Bogs, and lots of em, are the main issue here. 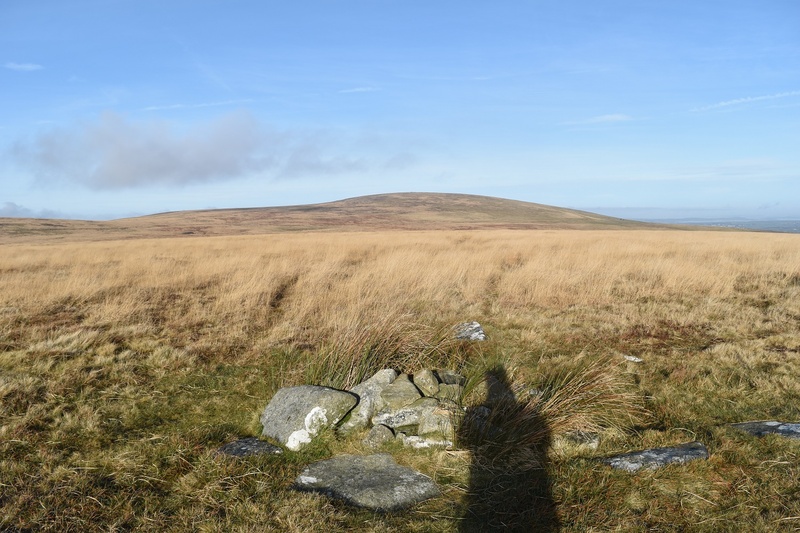 Looking at the map you have Ruelake and Gallaven to the south, Raybarrow to the north west, the ground to the east is marked as boggy but has no name and the area towards Hound Tor feeds Raybarrow so will be wet. 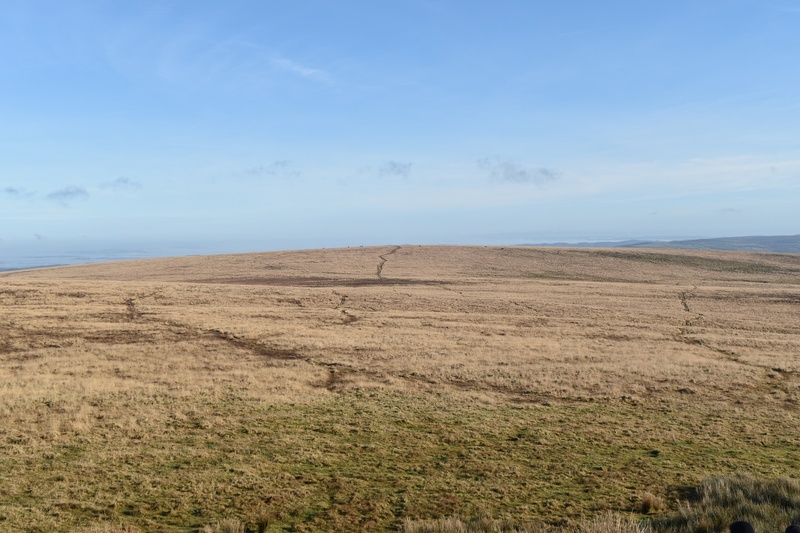 The only dry route is from Shilstone and that then involves gorse, bracken and long grass and a small bog. No way is easy however the route from Hound Tor should be passable most of time with a bit of hopping. 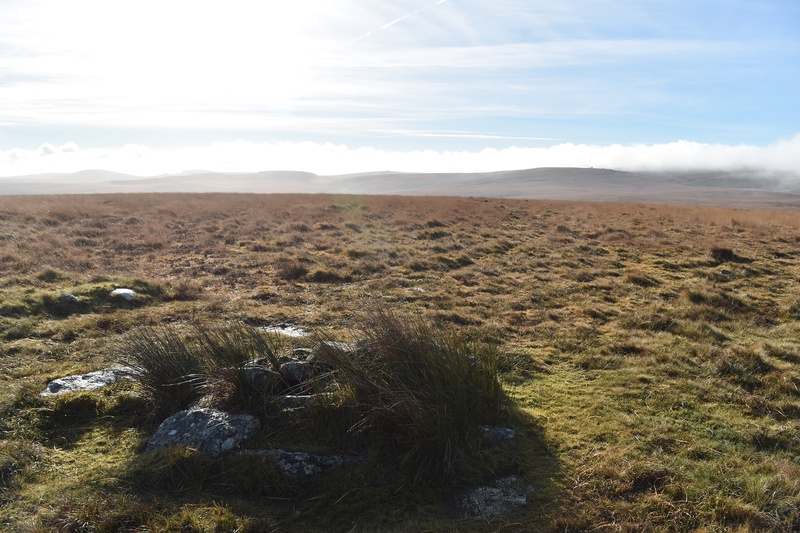 Once at the top there’s a small cairn and some good views west into the top of Dartmoor around High Willhays. 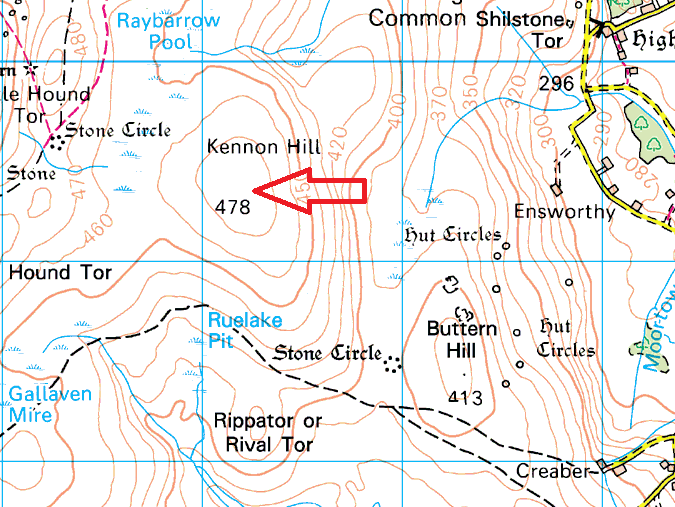 Kennon Hill is away from the firing ranges although going further west will take you into Okehampton range once past Hound Tor.